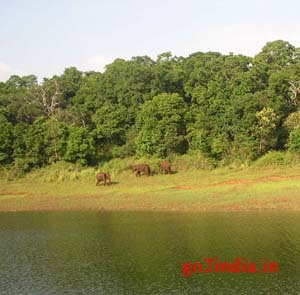 Thekkady is located in Idukki district of Kerala. 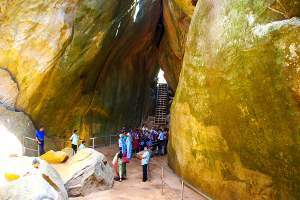 It is at the border of Kerala and Tamilnadu. 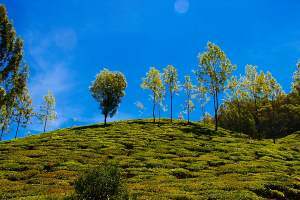 It is at a distance of 195 Km from Cochin. By road it is 5 hours journey from Cochin. Nearest town is Kumali. 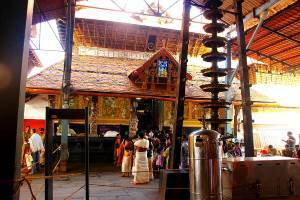 From Cochin one has to travel via Pala then Pokununam and then Mundakayam. After crossing the Mundakayam bridge the roads starts climbing hills. 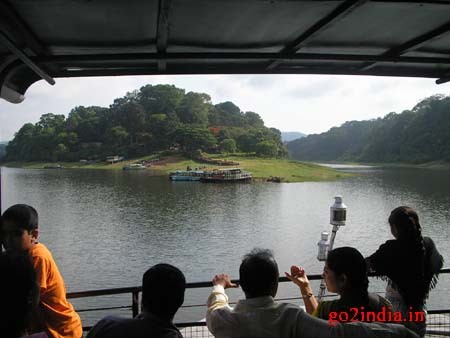 Thekkady is famous for Periyar Wildlife Sanctuary. This sanctuary is open from 6.00 AM to evening 6.00 PM. Out of total 777 sq.km area 360 sq.km is thick evergreen forest. 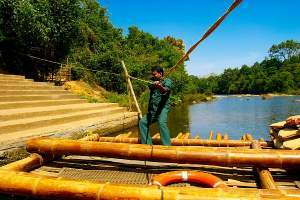 Periyar Wildlife sanctuary declared as Tiger Reserve in 1978. 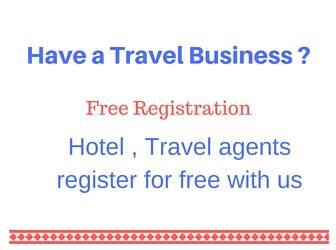 Entry fee for Indian tourist is Rs 15 and another Rs 10 per head for Eco � Development Surcharge. Entry fee is Rs 300 for foreign tourists. This lake was conceived by A British engineer, Col.V.Pennycuick who was the then chief engineer of Madras Presidency. Price for upper deck is Rs 100 and lower deck is Rs 75 this is for Indian tourist. This boat cruise is open from morning 7 PM to afternoon 4 PM and is of approximately 2 hours duration. You will be moving around the lake. 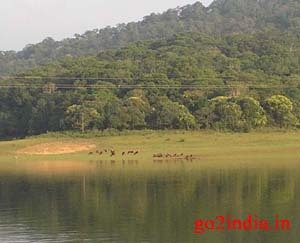 KTDC and forest departments run the boats in this lake. 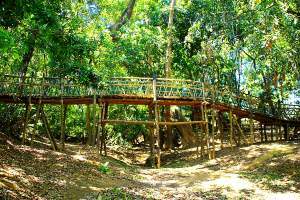 One can also join for Nature Walk, Border Hiking, Jungle Safari, Bamboo rafting, Jungle Patrol, The periyar tiger trail, elephant ride and bullock cart safari, plantation and sightseeing. There are many spice gardens around this beautiful area. One has to spend two hours to understand different types of spice plants available around this area. Ayurvedic Oil massages is another special service available for the tourists here. Kumily is the nearest town at 4 KM distance.